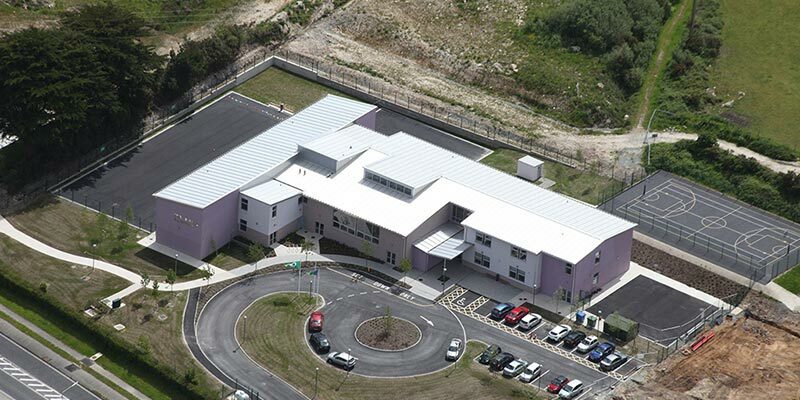 For the construction of the new state-of-the-art Barntown Primary School, Select Roofing was contracted to install the roofing and wall panels. To fit with the high-quality specifications demanded Select Roofing, due to its unique licensing agreements, was able to install an interfaced Kingspan standing seam system along with Kingzip panelling on the roof and walls. In addition to providing great insulation and weather protection this combination also afforded a great aesthetic quality to the new building.